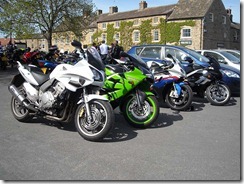 Helen and I went out with NUKB yesterday for the start of season Big Meet in Masham. It was a good turn out in the end as it looked initially like the Lancs group would be very small. We went to Clitheroe Services and waited there for the main group to arrive from their meeting point at the Tickled Trout. Once they had arrived we set out for Settle and went on our standard route via Sawley and Wigglesworth. We only stopped in Settle briefly to pick up a few other members before heading off towards Ribblehead Viaduct on the B6479. 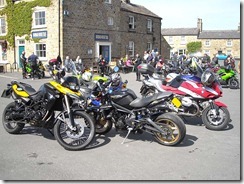 We then head for Hawes on the B6255, but decided to stop at the Creamery instead as Hawes has been rammed of late. After the brew stop in Hawes we headed on the A684 towards Leyburn. We turned off just before Leyburn and cut across to the A6108 just before Middleham. We then followed the A6108 all the way to Masham. Due to various reasons we arrived about 1 hour and 20 minutes late so most of the other regions where starting to leave by that point. After a quite lengthy stop we left Masham on the A6108 towards Ripon. Due to some new roads we got briefly lost in Ripon and the group broke into 2. We left Ripon on the B6265 and followed that to Pateley Bridge. 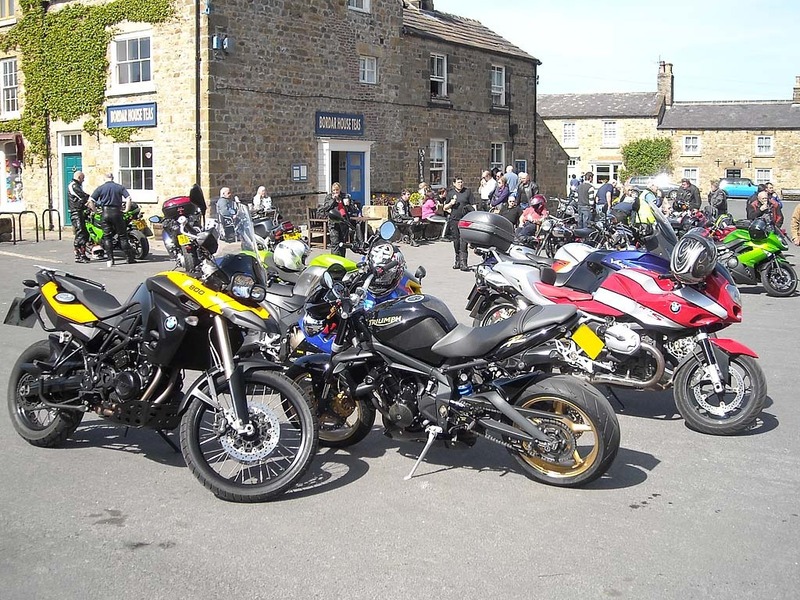 We then continued on the B6265 over Craven Moor to Grassington where we stopped for an ice cream break. 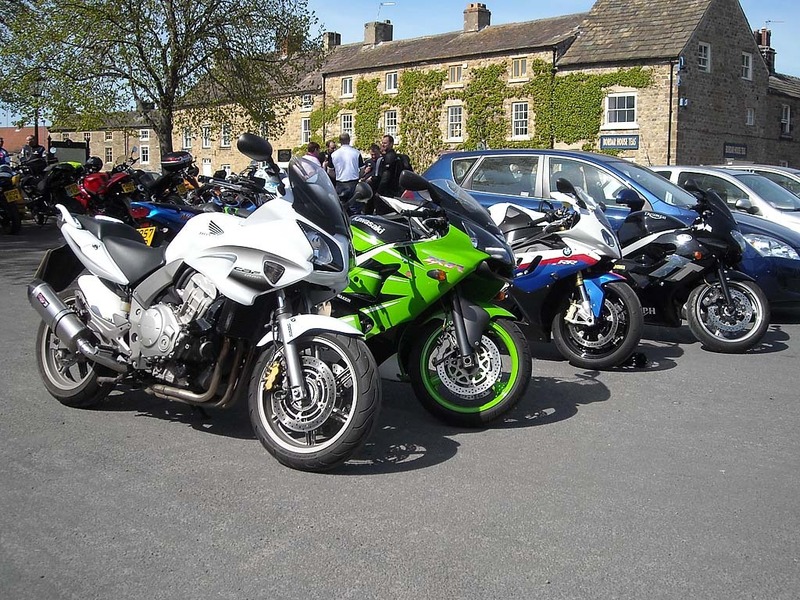 While we where at Grassington the rest of the group arrived and we were all together again. We left the main group at Grassington and with Simmo in tow and headed for home. We headed from Grassington on the B6265 via Threshfield towards Skipton. Just outside Skipton we turned right onto the A59 and followed that for a while before turning off onto the A56 to Colne via Earby. Just after Colne we joined the M65 and then followed that to the A56/M66 junction and home.